Ohio Gov. 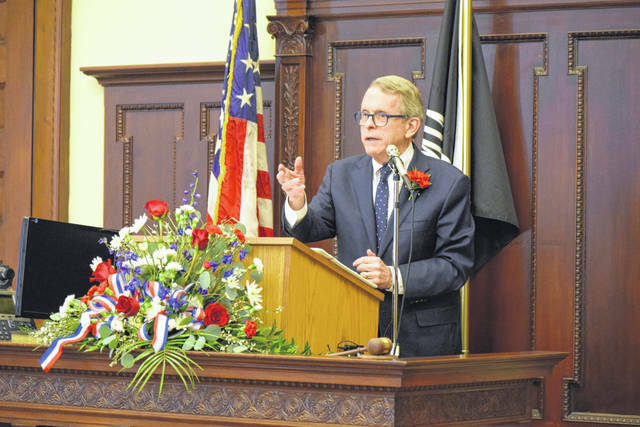 Mike DeWine and his wife, Fran, were also on hand during a special ceremony in one of the courtrooms. 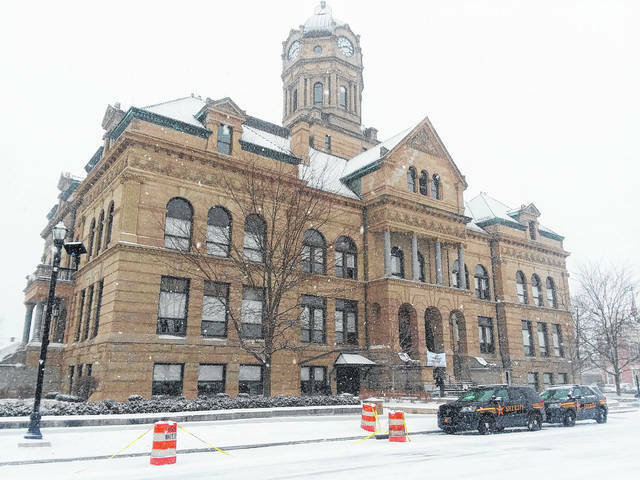 “The county of Auglaize was established on Feb. 14, 1848, and we thought this was a fun time of the year to celebrate our love for our county and for our beautiful courthouse, which is 125 years old this year, and we invited the governor to come. We’re also very excited, of course, because this corresponds with the 50th anniversary year for the Apollo 11 moon landing, which is why our theme for today is ‘Auglaize County Reaches for the Stars,’ because we can all aspire to great things and all aspire to be our best,” said Rachel Barber, administrator of the Auglaize County Historical Society.